Russia is immediately banning the import of table salt from a Ukrainian company because of impurities in the product. Consumer watchdog Rospotrebnadzor says salt from Ukraine’s Artemsol is not up to standard. It “does not comply with the requirements on the contents of impurities, including iodine and organoleptic properties,” Russia’s Federal Service for Supervision of Consumer Protections and Welfare said in a statement. Rospotrebnadzor discovered the impurities in the table salt in November last year, and began tougher checks at the border and in retailers, RIA Novosti reports. Ukrainian salt manufacturers could be replaced by domestic production which is currently 40 percent underused, Rospotrebnadzor reported. Artemsol has an estimated 24 percent share of the Russian market. Belarus is Russia’s second biggest supplier of table salt with the two countries providing about 56 percent of the Russian market. 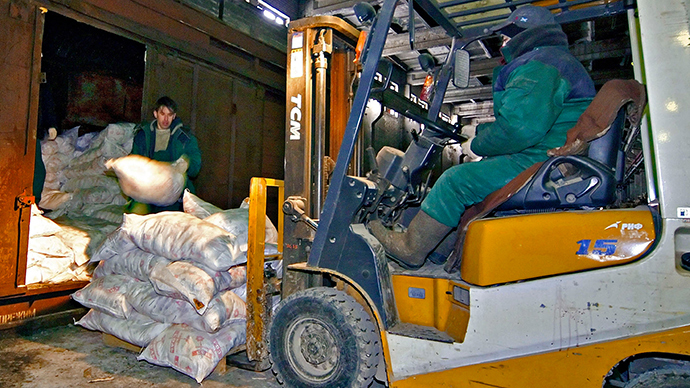 Russia banned food imports from Ukraine in 2014 due to quality and safety complaints.